I first visited Khonoma, for a day in December 2017, during the Hornbill Festival. And ever since, I’ve been wanting to write about this remarkable village and its community-led conservation success story. I’m so glad this story found a suitable home in Ensia, a solutions-focused nonprofit publication reporting on our changing planet. Ensia is powered by the Institute on the Environment — University of Minnesota and is a member of the Solutions Journalism Network & Institute for Nonprofit News. Please click on the image below to read the article. Yesterday was International Women’s Day. I know I’m a day late with this post, but I’d still like to pay tribute to all the brave and resilient women I’ve met across rural India in the past 18 months. In addition to being wives, mothers, grandmothers, daughters, sisters, and homemakers, these hardworking ladies are also farmers, weavers, fisherwomen, homestay hosts, guides, drivers, cooks, and a whole range of other roles. (Women featured in the below montage are from the Indian states of Maharashtra, Assam, Nagaland , Madhya Pradesh & Uttar Pradesh). I’d like to especially mention Sheroes Hangout in Agra, which I visited a few weeks ago. This small but cheerful cafe, located in the vicinity of the Taj, is a testament to the strength of the women who manage it – all of them acid attack survivors. I spoke to the girls on duty about several things, including their dreams and aspirations, all shaped (positively, mind you) by the heinous crime committed against them. So if you ever happen to visit the Taj Mahal in Agra, don’t forget to stop by the Sheroes Hangout. You will love these real-life superwomen! The Sheroes Hangouts in Agra and Lucknow are an initiative of the Chhanv Foundation. A more detailed blog post follows soon. With Chinese New Year just round the corner, the Hubs and I are looking forward to returning to the serene He Hua Temple, to welcome the ‘Year of the Pig’. During our six years in Singapore, we started a tradition of visiting a Chinese temple for Lunar New Year, and will soon be celebrating our second CNY in Amsterdam. In 2016, I even got to welcome the ‘Year of the Monkey’ in Mumbai. I’m pleased to share more about the He Hua Temple in Amsterdam, via an article for the Jan-Feb’19 issue of PASSAGE (the bi-monthly magazine of the Friends of the Museums Singapore). Founded by the Fo Guang Shan order of Taiwan, this temple is the first and the largest temple in Europe to be built in the traditional Chinese palace style. Please click on the image below to view the PDF of this article. If you’d like to visit the temple during the CNY celebrations, you can view the schedule at this link. Festivities begin on New Year’s Eve (4th Feb). For now, where ever you are in the world, I wish you a fabulous ‘Year of the Pig’! My first published article of 2019 is here! This is the heartwarming story of Bodo weaver Sama Brahma, who lives in rural Assam, in the northeastern corner of India. This also happens to be my first contribution to the highly respected People’s Archive of Rural India (PARI), founded by senior Indian journalist P. Sainath. Oct 2017. I first met Sama at the Aagor Daagra Afad office in Lower Assam. Her shy smile lit up the room. Sama & I do not have a language in common, so a kind Aagor staff member translated from Hindi to Bodo, & vice versa. That day, I got to know a little bit about Sama, her family, and her life. At that point, I had no idea I’d ever be meeting her again. Nov 2018. I visited Sama at her home in a remote village of Lower Assam, along with Rahimol Narzary, the manager at Aagor. As I begin 2019 with exciting writing and photography projects on the horizon, I take one quick look at the year gone by. For starters, I got published in an Indian publication for the very first time, in 2018. In the past, I’ve been published in Singaporean magazines, Dutch publications, a cross-cultural magazine, but never in an Indian publication. So when The Better India accepted my piece about the weavers of rural Assam, I was thrilled! The story of these brave and resilient women is very close to my heart, and I’m glad I was able to share it via this powerful forum. Strangely, despite my continued discomfort with technology, photography is now such an integral part of what I do. I’m looking forward to all the visual storytelling 2019 has in store! And if you aren’t already following me on Instagram, I’m at @noroadsbarred. Here’s wishing you a 2019 filled with many incredible achievements and exciting adventures! Full throttle ahead, my friends! Cheers! 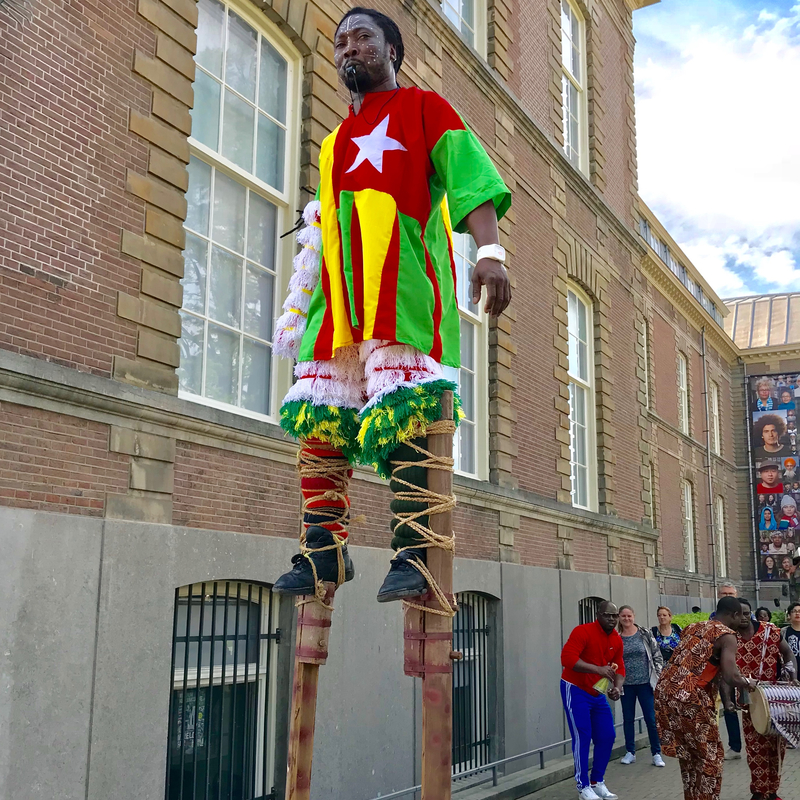 For a photography enthusiast like me, one of the big joys of living in the Netherlands, are the many compelling photo-exhibitions held over the course of the year. These exhibitions feature a wide spectrum of image-makers, both past and present; and serve as an inspiration for my own photography and visual storytelling work. For this piece in the Winter issue of ACCESS magazine, I’ve put together a list of photo-exhibitions in the Netherlands, on display during the next few months. These showcases give us an opportunity to make sense of the world around us, through the eyes (and lenses) of several master photographers. Hopefully, this article is useful to photography buffs visiting the Netherlands, in winter. Enjoy! Please click on the image below to read the PDF of the article. 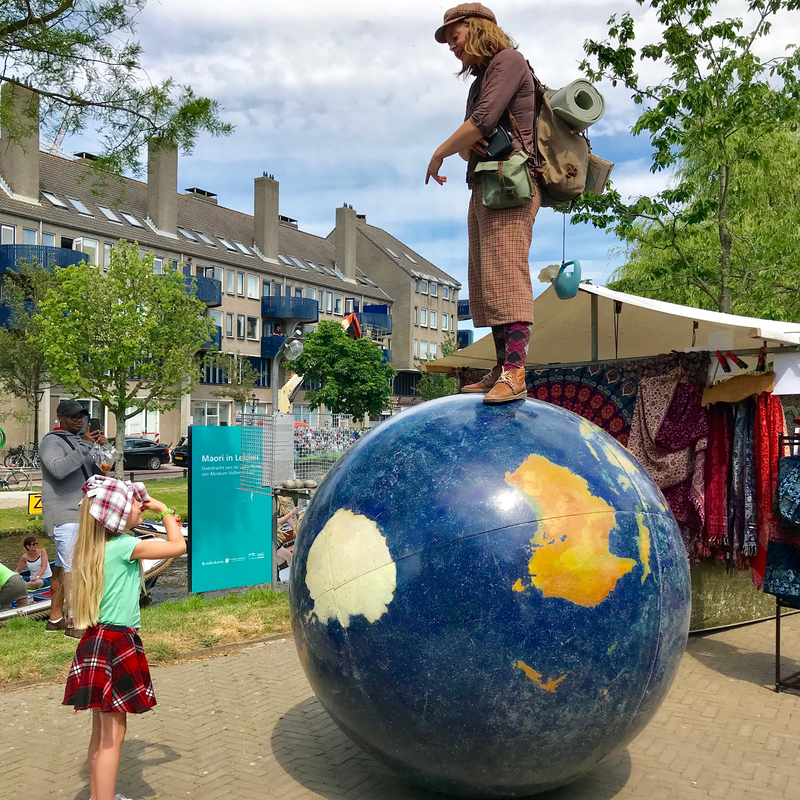 Read about places in the Netherlands here – Scheveningen, Keukenhof, Delft, Amsterdam, & Leiden. 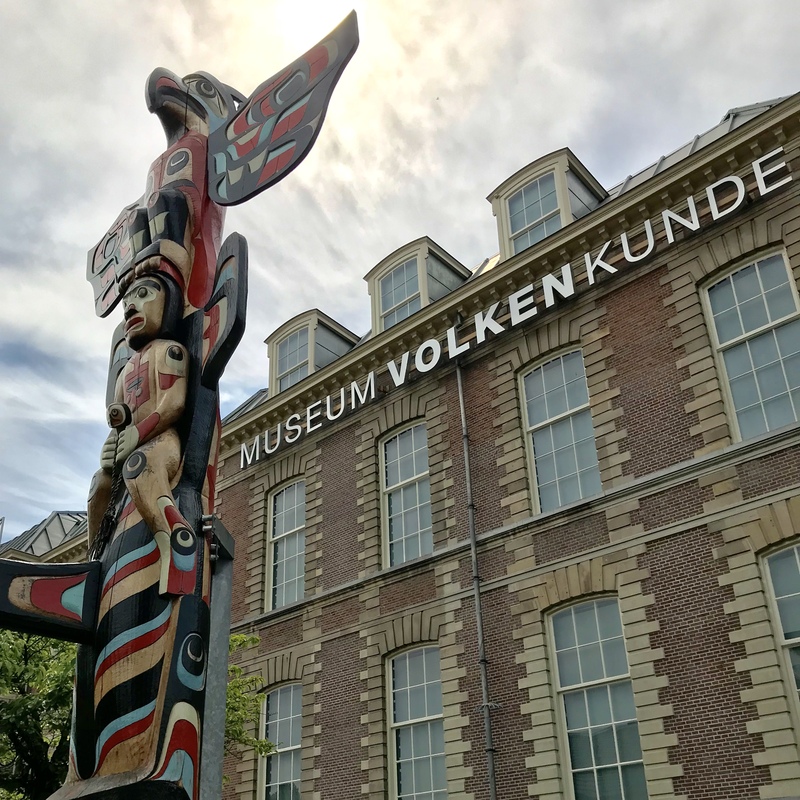 My first visit to the Volkenkunde Museum (the National Museum of Ethnology) in Leiden, was not to peruse its extensive collection. 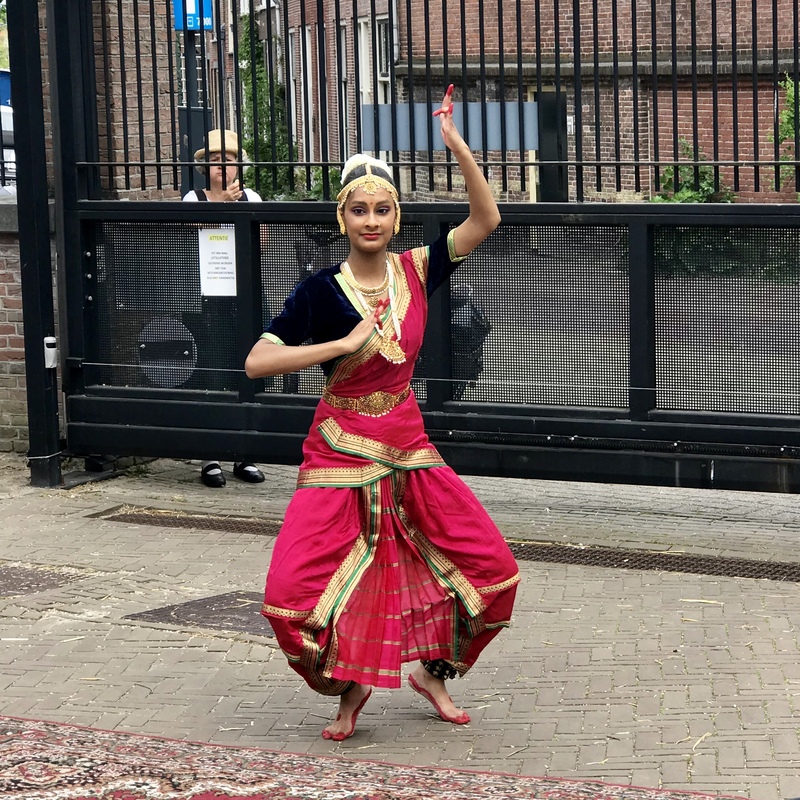 Rather, I was there in May 2018 for the annual WorldFair, which turned out to be a delightful celebration of world cultures; with music, dance performances, food, and handicrafts from all around the globe. Of course, lots of positive vibes too! Looks like an interesting conversation! As I walked into the Volkenkunde that day, my attention was drawn to the imposing totem pole in its garden. This led me to dig a little deeper into the story of this North American indigenous icon, and into the history of the museum itself. I wrote this article about the Volkenkunde Museum for the Sep-Oct’18 issue of PASSAGE (the bi-monthly magazine of the Friends of the Museums Singapore). Please click on the image below to view the PDF of this article. Read about other places in the Netherlands here – Scheveningen, Keukenhof, Delft, & Amsterdam. To read my PASSAGE article on the Prinsenhof Museum in Delft, please click here. On India’s 72nd Independence Day yesterday (15th Aug 2018), I took some time to put together a montage of some of my favourite images from my 2017 travels through the country. 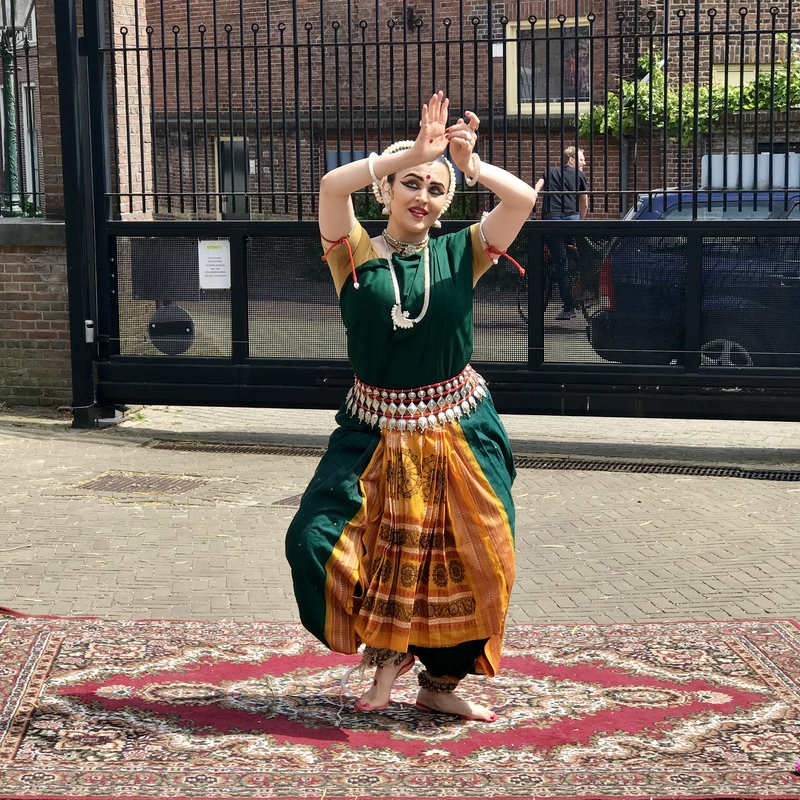 During four incredible months there, I traveled to the states of Assam & Nagaland in northeast India, Chattisgarh & Madhya Pradesh in central India, Uttar Pradesh in north India, & of course, was based in my home-state of Maharashtra in western India. Visiting non-profits working in remote parts of the country, under the most difficult of circumstances, was a truly educational (and humbling) experience for me. My images pay tribute to an India rarely seen, and rarely ever experienced. Each picture has been captioned below to provide you some background. r1c1: CM, the senior-most weaver I met in Bodoland, Assam, holds up the last dokhona (a sari-like garment worn by Bodo women) she had woven, about a year prior to our meeting. In her mid-60s now, she no longer weaves because of her poor eyesight but I had an incredibly fascinating discussion with her. The dokhona she’s holding up is more specifically known as a bidon, as it does not have any woven motifs. r1c3: The national bird of India, the Indian Peafowl (Pavo cristatus) photographed in Manas National Park, Assam; a UNESCO World Heritage Site. This male peafowl was busy drying itself after a heavy shower. r2c1: A common sight in central India – bright yellow mustard flowers against the backdrop of a blue, tribal house. Houses of the Gond and Baiga communities in the region tend to be painted blue as they believe that this colour drives away mosquitoes and insects. This photograph was taken on the outskirts of Kanha National Park in the state of Madhya Pradesh. r2c2: C, a Koli woman, prepares the ‘Bombay Duck’ fish, to be hung out to dry. Kolis are the original inhabitants of Mumbai city and most members of the community are engaged in fishing or fishing-related occupations. r2c3: Phoolkali (in front) & Maya are two of the several elephants rescued by Wildlife SOS to date. Phoolkali is about 60 years old and used be a begging elephant while Maya, once a circus elephant, is about 42 years old. They are photographed here out for their daily evening walk at the Elephant Conservation & Care Centre, in Mathura, in the north Indian state of Uttar Pradesh. r2c4: Performers from the Yimchungru tribe gather outside their ‘morung’ (young men’s dormitory) at the Naga Heritage Village, in Kisama, Nagaland, during the 2017 Hornbill Festival. r3c1: Nilesh Kushram, a talented young artist from the Gond tribe, seen here with one of his paintings. 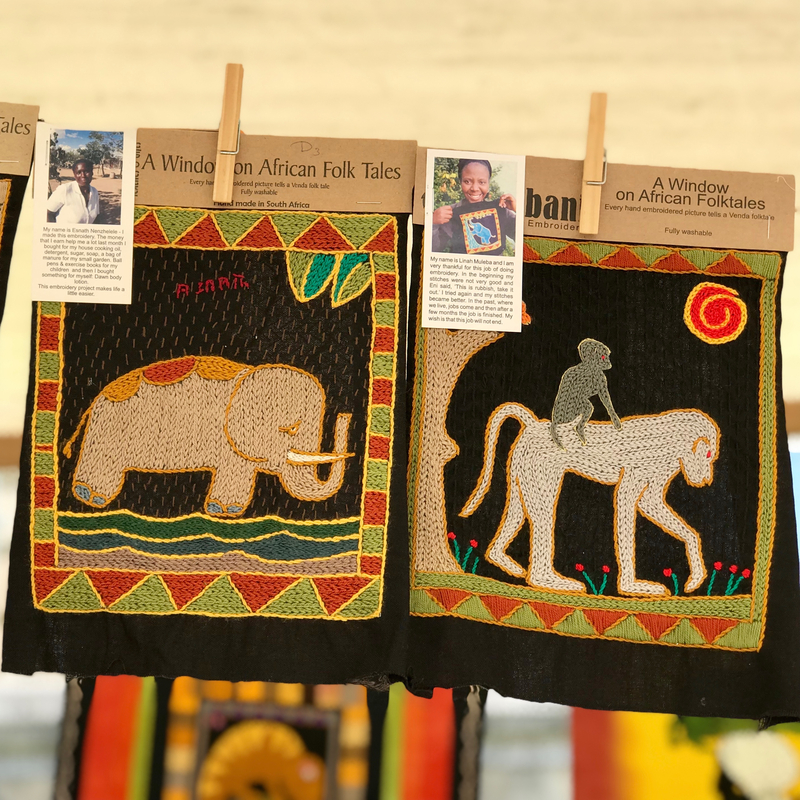 Gond paintings are extremely detailed and intricate, and they reflect the close connection the Gonds share with the forests they live in. Photographed at Shergarh at Kanha, a beautiful tented wildlife camp, located on the outskirts of Kanha National Park in the state of Madhya Pradesh in central India. r3c2: The badly damaged muzzle of a former ‘dancing bear’, photographed at the Agra Bear Rescue Facility, one of four Wildlife SOS bear centres across India. Under the watchful care of the Wildlife SOS team, the muzzle has healed but the disfigurement remains. Wildlife SOS rescued over 620 dancing bears from the streets of India, thus ending the barbaric 400-year old ‘dancing bear’ practice in the country, in 2009.
r3c3: Paddy fields till the eye can see in Dehene village in Maharashtra state, western India. The village lies a mere 120kms on the outskirts of Mumbai city. This rural experience was organised by Grassroutes, a Mumbai-based social enterprise and responsible travel company. r3c4: PS, a Bodo woman, catches fish in a rivulet, in Bodoland, Assam. She is using a traditional, conical-shaped basket known as ‘jakhoi’ to scoop-up fish from the water, and a gourd-shaped vessel known as ‘khaloi’ (tied to the waist), to store the freshly-caught fish. Both items are made by intricately weaving together thin strips of bamboo. r4c1: Jute fibres hung out to dry in Bodoland, Assam. The state is one of the largest jute producing state in India, contributing to the country’s position as the top jute producer in the world. r4c2: SB, a Bodo woman weaves at the ant centre in Bodoland, Assam. Weaving is a traditional skill in this part of the world, passed on from mother to daughter. The loom used is a pedal loom. Read more about the weavers of Assam here. Located in the distant northeastern corner of India, the enigmatic state of Nagaland is home to 17 major tribes and several sub-tribes. The major tribes gather every year from 1st to 10th December at the Hornbill Festival, held at the Naga Heritage Village in Kisama, on the outskirts of the state capital Kohima. This festival, billed as the ‘Festival of Festivals’ is where all the tribes can be seen dressed in their traditional best. A few days ago, when I looked through my pictures from the 2017 Hornbill Festival, I was delighted to find many portraits. 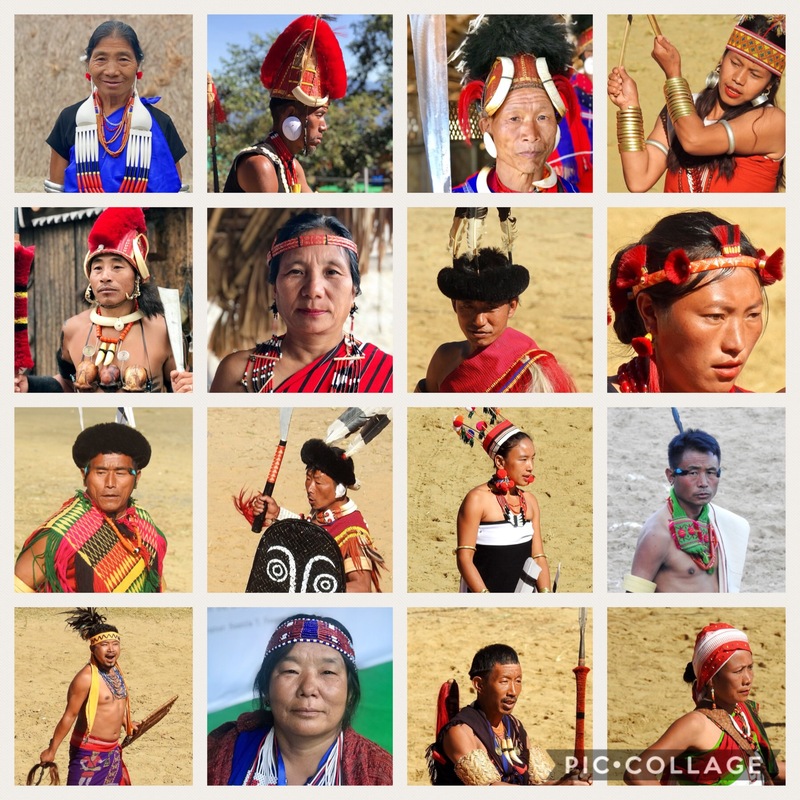 So I put together this montage to represent 16 (of 17) major Naga tribes. I’ve captioned each picture to provide some basic information about the tribe. r3c4: A Chakesang tribesman. This tribe was formerly known as the Eastern Angami. I’m missing a portrait from the Lotha tribe, which I should hopefully be able to make during my next visit to Nagaland. Today (June 5th) is World Environment Day. 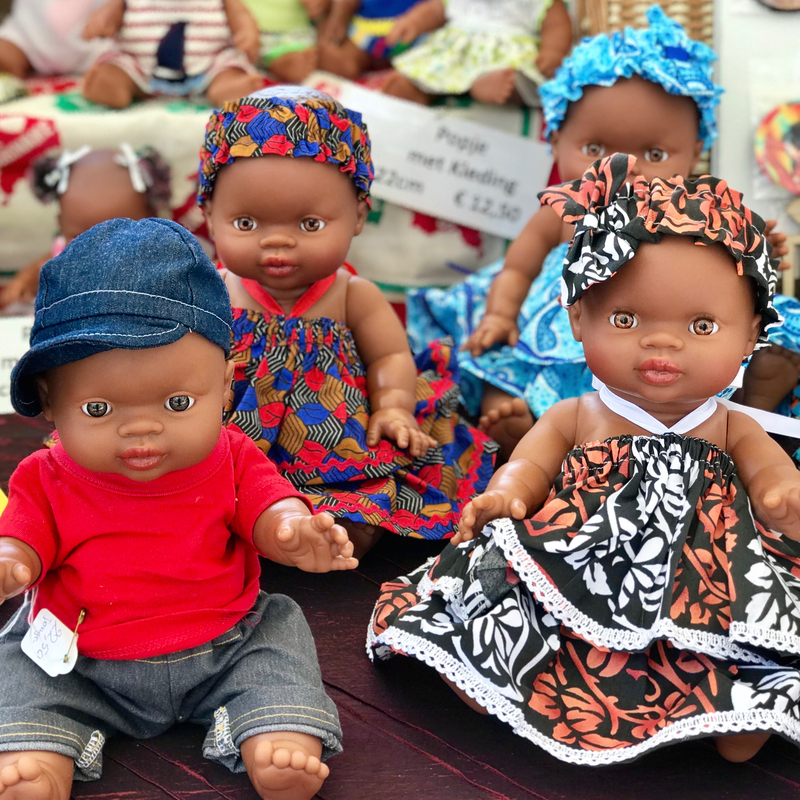 This year’s theme is ‘Beat Plastic Pollution’, a much-needed message in view of the fact that plastic is choking our oceans, and wreaking havoc on wildlife, both on land and in the waters.